Revelation gets its name from its opening words, "the revelation of Jesus Christ" (apokalypsis I-esou Christou), an expression occurring elsewhere in the NT (Gal 1:12; cf. 2 Thess 1:7; 1 Pet 1:7, 13), but not to describe the contents of a literary work. The expression carries a double sense: The writing is both a revelation about Jesus Christ—the central figure in the book—and a revelation that Jesus Christ received from God and transmitted through an interpreting angel to "his servant John" (1:1). The superscription later added to the work became"The Revelation of John, "referring to the revelation that John received from God through Christ. As a literary work belonging to the genre "Apocalypse," Revelation is unique among NT writings. 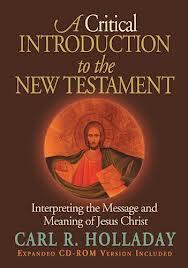 Its sole counterpart in the OT is Daniel, especially chapters 7—12, written during the mid-second century B.C.E. in the context of the Maccabean revolt. It also resonates with other OT writings from as early as the sixth century B.C.E. : Isa 24—27 (the Isaiah Apocalypse), Isa 56—66, Ezekiel, Joel 2:28—3:21, and Zech 9—14 (esp. ch. 14). Revelation also shares much in common with the non-biblical Jewish apocalypses that began to be written in Palestine as early as the third century B.C.E. Most notable among these is 1 Enoch, a collection of five separate works associated with the antediluvian figure Enoch, written and compiled between the third century B.C.E. and the first century C.E.With the exception of the Similitudes of Enoch (chs. 37—71), which may have been written early in the first century C.E., portions of all sections of 1 Enoch were found among the writings of Qumran. This suggests that apocalyptic literature figured prominently within this separatist Jewish group in Palestine prior to the Christian period. Another pre-Christian apocalyptic text is Testament of Levi 2—5, probably written in the second century B.C.E. While 1 Enoch is the only comprehensive non-biblical Jewish apocalypse written earlier than Revelation, others were produced at roughly the same period, toward the end of the first century C.E. These include 4 Ezra (= 2 Esd 3—14), 2 Enoch, the Apocalypse of Abraham, 2 Baruch, 3 Baruch, and the partially preserved Apocalypse of Zephaniah. Other writings, which are not technically apocalypses but reflect strong apocalyptic elements, include Jubilees, the Testament of Abraham, and the Sibylline Oracles. While Revelation has long been recognized as an apocalyptic writing whose language and outlook resonate with these other biblical and non-biblical apocalyptic writings, which were produced between 200 B.C.E. and 200 C.E., scholars in the nineteenth and twentieth centuries focused especially on its apocalyptic features. As the vast body of Jewish and Christian apocalypses became available in critical editions and translations, scholars were able to gain a better understanding of how apocalyptic literature worked, what symbols and images it tended to use, how it related to biblical prophetic books, and what circumstances produced such writings. Understanding the "rules" of apocalyptic writing and how apocalyptic thinkers construed their world enabled scholars to interpret Revelation within the broader context of the ancient world. 1. God's Sovereignty over History and the Cosmos. God is consistently portrayed as the One who controls history or the One who holds the key to the mysteries of the universe. In the first instance, God stands at both the beginning and the end of history, which is understood as a story that moves through time from creation to judgment. In the latter instance, God sits enthroned, presiding over a cosmic hierarchy. Proximity to God is understood in spatial rather than temporal terms. 3. Ultimate Vindication. The apocalyptic mind firmly believes that the cause of God will eventually triumph. This often takes the form of a divinely overseen, universal judgment that will happen at the end of time. If an apocalypse focuses on the end of time and accompanying events, it is eschatological in orientation. But not every apocalypse is preoccupied with eschatology. This is a distinction worth noting, since the terms "Apocalyptic" and "eschatological" are sometimes used interchangeably as though they are synonymous. Such imprecision only confuses an already complex topic. 4. Symbolic Language. Apocalyptic writers also assume that these heavenly mysteries— who God is, what God has done in the past, how God relates to the present, and what God intends to do in the future—can be expressed only through graphic images that convey symbolic meaning. Ordinary language and genres are inadequate for capturing the sense of ineffable mystery that relates to God's will. 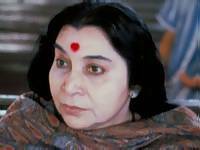 On December 27, 1995, at about 4:30 p.m. preparations to perform Christmas Puja were in progress. The house was dusted, vacuumed and mopped, the altar decorated with flowers and offerings, eating utensils washed, dried and arranged, and food for Sahaja Yogis laid on the dining table. Christmas carols uplifted the spirits, and made work light. Kash was alone in his room, deep in meditation. Shri Adhiparasakthi Shri Nirmala Devi spoke to him for about 10 minutes, inquiring about his state of mind. Kash told the Great Primordial Guru that he was still not ready spiritually. She replied that this was normal and he should lead an ordinary life, and that this book was not be published yet. The Great Devi then revealed to him that there were five special occasions, among his hundreds of encounters with Her in his Sahasrara, that She appeared in Her actual form of Adi Shakti and not as Mahamaya (Illusion.) By this She meant that Kash witnessed Her purest Being only five times, a Reality beyond the Sahasrara! Few people understand the immensity of this Revelation. We can only say that it is extremely difficult to see Her illusionary form in the Sahasrara, but not beyond. But why did She have to stoop to allow Her genuine Self to be revealed to a mere child? Maybe She had to for the sake of Truth as there will always be narrow-minded humans who will argue that She appeared as Mahamaya, not Adi Shakti, and had fooled both father and son. She had foreseen various obstacles and provided against this human vanity, leaving no room for future doubt or dissent. — The very first day he saw Her. This was on the Diwali of November 1993, the Hindu New Year. — The day he came to request from Her for a baby sister. This day is unknown as Kash had done it on his own initiative, without informing anyone. — April 3, 1994, the day She revealed that Lalita, born on the Christian holy day of Easter Sunday (April 2, 1994), was an angel. — April 18, 1994, the day She revealed that Kash, born on the Muslim holy day of Id Al-Adha (October 19, 1980), was an angel. Ksipra-prasadini (869th): Who showers Her Grace on Her devotees very quickly. 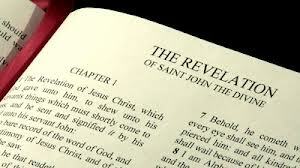 The translators of the King James Version of the Bible have given this book the title, "The Revelation of St. John the Divine.” In this they contradict the very first words of the book itself, which declare it to be "the Revelation of Jesus Christ.” Jesus Christ is the Revelator, not John. John is but the penman employed by Christ to write out this Revelation for the benefit of His church. John is the disciple of Jesus who was beloved and highly favored among the twelve. He was evangelist and apostle, and the writer of the Gospel and the epistles which bear his name. To his previous titles must now be added that of prophet; for the Revelation is a prophecy, and John so denominates it. 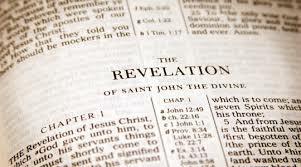 It is not only the Revelation of Jesus Christ, but it is the Revelation which God gave unto Him. It comes first from the great Fountain of all wisdom and truth, God the Father, by Him it was communicated to Jesus Christ, the Son; and Christ sent and signified it by His angel to His servant John. "To show unto His servants things which must shortly come to pass.” His servants—who are they? For whose benefit was the Revelation given? Was it to be for any specified persons, for any particular churches, for any special period of time? No, it is for all the church in all time, as long as any of the events predicted within the book remain to be accomplished. It is for all those who can claim the appellation, "His servants," wherever or whenever they may live. "The countenance of the "man of sin" is marked by pretended sanctity. There is in it a look of elevation, marred by pride. The features are full of power and intelligence. His head is circled with a crown of a peculiar form, unlike that worn by ordinary kings, and upon it is the title "King of kings and Lord of lords," — implying that he is ruler both of the Church and of the world, because he claims to be as God on earth. His hand is lifted in the attitude of one bestowing divine favors. His semblance is that of benignity and blessing, while the spirit of the man is that of the great adversary. Behind him, half concealed, is a dark figure difficult to make out, with a face full of malignity. There is a gleam of defiance in his eye, and a deadly purpose in his aspect. He too wears a crown, and the name written on it in yellow, sulfurous letters is, "god of this world.” He stands close to the "man of sin," — too close to be seen by the worshipping multitude — directing and inspiring all his utterances and all his movements. With extraordinary skill he wields a worldwide power through this chosen agent, a power which has been exercised in various ways for six thousand years, deluding men to their destruction, but which reaches its climax in this combination of satanic craft with ecclesiastical exaltation. By the mouth of the "man of sin" he speaks to the multitude thronging the holy temple, or house of God, in a tone of authority, commanding them to submit to his teachings and guidance, and to abase themselves in his presence. His words are, "Fall down and worship me.” The deluded multitude blindly obeys him, as though his voice was the voice of God! It is clear that the Second Coming will not take place until and unless the rebellion against the lawless one takes place, i.e. after his identity is revealed and his power, signs, lying wonders and every kind of wicked deception exposed. It is obvious that this adversary of Lord Christ on Earth, who exalts himself above all others by self-proclaiming to represent Christ, is destined for divine destruction. 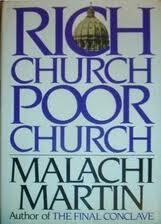 A similar fate awaits those who empower this Vicar of Christ, because they refused to love the truth and so be saved. The verses in the Bible from Revelation 17 onwards point to the dawn of the new millennium that ushers the Age of Resurrection and Last Judgment. If all the revelations and events of Shri Adi Shakti: The Kingdom of God are taken into account then there is no doubt about it. The religious regimes and millions of their deluded followers will battle God Almighty's Message of the Resurrection and Last Judgment, because they will refuse to love the truth and so be saved. For this reason God sends them a powerful delusion, leading them to believe what is false, so that all who have not believed the truth but took pleasure in unrighteousness will be condemned. So it was prophesied in the Bible and Qur'n, and so will the unbelievers mock and defy the Resurrection and Last Judgment! “Uninitiated Christians mistakenly worship the creator, as if he were God; they believed in Christ as the one who would save them from sin, and who they believed had risen bodily from the dead: they accepted him by faith, but without understanding the mystery of his nature — or their own. But those who had gone on to receive the gnosis had come to recognize Christ as the one sent from the Father, whose coming reveled to them that their own nature was identical with his — and with God's ... Those who lacked spiritual inspiration envied those who spoke out in public at the worship service and who spoke in prophecy, taught, and healed others. Seeing this False Christ, in fury and passion, I made my Voice heard all over the Nation... .
Church Fathers ... argued that the history of the Jews contained a hidden spiritual meaning which could only be revealed to those with special claims to understanding. While theologians would have argued that it could only be reached by the accumulated wisdom invested in a church, Blake and other millenarians saw the true meaning of the Bible as being within the reach of those few privileged individuals throughout the ages who were guided by an inner light. The Book of Revelation, as a prophecy of the end of the world and the triumph of the Spirit, was the bedrock of all millenarian attempts to link the prophecies of the Bible with the events of the contemporary world ... In the later Pitt is understood as the Angel of Revelation 'who, pleased to perform the Almighty's orders, rides on the whirlwind, directing the storms of war'. The Beast from the Sea is another symbol of temporal power, an enemy to Christianity yet worshipped by humanity; his power is given to him by the Dragon, so Satan is behind this hideous image of war which enthralls humanity. And they worshipped the dragon which gave power unto the beast; and they worshipped the beast, saying, Who is like unto the beast? who is able to make war with him?' The precise text depicted by Blake is the one in which the Dragon gives power to the Beast 'to make war with the saints', indicated by the sword and scepter. "In 14:26, Jesus says, "But the Paraclete, the Holy Spirit, whom the Father will send in my name, will teach you all things and will remind you of all that I myself spoke to you.” (14:26). The teaching ministry of the Paraclete is presented as superior to that of Jesus because the Paraclete will teach them "all things" and will remind them of "everything" that Jesus said (14:26). The Paraclete's ministry is set clearly in the future. Jesus again identifies this "Paraclete" with the Holy Spirit, whom the disciples would know from the Old Testament (Ps. 51:11; Is. 63:10,11): "But the Paraclete, the Holy Spirit—the Father will send in My name" (14:26). This sending will fulfill Old Testament promises as well as Jesus' request (14:16). The sending of the Paraclete in Jesus' name not only links the sending to Jesus' request but also supports the claim that the Paraclete comes to continue Jesus' ministry. The Paraclete's ministry to the disciples both goes beyond and is limited by Jesus' ministry. On the one hand, the Paraclete would teach the disciples "all things" (14:26), and so the disciples would know more from the Paraclete's teaching than they knew from Jesus' teaching (see 1 John 2:27)... The Spirit's teaching went beyond what Jesus taught only in that it deepened their understanding of what He said. Jesus' statements in John 14:25-26 are closely paralleled by those in 16:12-15... What may be implicit in John 14:25-26, that Jesus had limited what He told the disciples because of their inability to understand, is made explicit in 16:12. They had trouble understanding what He did tell them, and now the reason for that is made plain: their abilities are limited. Their limitation, however, is not the world's inability to "know" or "see" the Spirit (14:17), but is a function of their location on the salvation-historical time line (note 16:12, "you cannot bear them now [arti]" and "whenever [hotan] the Spirit of truth comes" in 16:13). Holwerda, The Holy Spirit and Eschatology in the Gospel of John, 62. Thus Holwerda takes the Spirit's declaration of "what is coming" to refer to: (1) the book of Revelation ; (2) the meaning of salvation history; (3) the meaning of the work of the historical Jesus; (4) the exalted Jesus; (5) the coming Jesus; and (6) the NT. “Most religions contain teachings that anticipate a time, beyond the present era of suffering and injustice, when human history will be consummated by a decisive act of God. Evil will be destroyed and goodness will triumph. Typically, the course of events includes three phases: a time of tribulation and confusion when evil and suffering grow more and more rampant; the Last Judgment when God intervenes decisively to destroy all evil; and the coming of a new age of bliss, often called the Kingdom of Heaven. Furthermore, this decisive transformation is often said to require a great leader, a Messiah, who will wield divine authority to destroy evil, establish the saints, and found a new age of unlimited happiness. Teachings about eschatology are found in most religions, though they are most characteristic of the Jewish, Christian, and Islamic scriptures. Judaism anticipates the coming of the Messiah who will inaugurate an age of peace and justice on earth. Christianity teaches broadly that Christ, the Messiah, has already come to offer salvation, and he will come again to judge the world ; In Islam the Last Judgment is a cardinal doctrine. While it is sometimes understood as a spiritual judgment of the individual soul after death, many passages in the Qur'n clearly describe it as a world-transforming event to occur at the end of time, when the earth will be destroyed and all people will see their just reward as they are sorted into groups bound either for Paradise or hell. Bantam Press, 1988, p. 37 & 45. This book had me shaking with laughter and trembling with rage—rage at the misdeeds of the papacy, not the book. It brilliantly recounts the endless crimes, hypocrisies, errors, indecencies, murders, debaucheries, illogicalities, idiocies and fanaticisms of the papacy from the "first pope" to the present. It is written in a highly engaging and breezy journalistic style, with more than a dash of humour and wit. For the most part the author lets the deeds (or rather, misdeeds) of the Bishops of Rome speak for themselves, although his own dim view of his subject is abundantly clear throughout. He is himself a former priest (educated at the Gregorian University in Rome) who unfolds the theologial groundlessness of the office of Pope itself, the ethical depravity of a depressingly high percentage of its occupants, the religious zealotry of many Popes, and the laughable absurdity of so many Roman Catholic doctrines such as Papal Infallibility. The overall effect of this is devastating for the Papacy, which emerges from the pages of this book as one fo the most hypocritical, malevolent and unjustifiable institutions in human history—which is saying a great deal. The book is the perfect antidote to the awe in which the office of Pope is held today, and a very welcome reminder of the dark history of a powerful institution built on a mountain of absurdities and atrocities that we all-too-easily forget. De Rosa has done his readers a great service in putting that history into a single volume without mincing his words of pulling his punches. Read it and weep. “What that one man in Rome teaches in the name of Jesus Christ does not concern mere "mind" and "will" or even "aspiration" and "faith.” For all those so-called qualitative factors have in themselves nothing to do directly with God and his salvation, belonging as they do to this material cosmos. That salvation taught by that one man comes gratuitously from outside the cosmos — not spatially, as if God dwelt beyond the reaches of space, but existentially. The salvation proffered by the Bishop of Rome comes from a totally different dimension of existence, the supernatural, which is utterly unattainable by any force, qualitative or quantitative, originating in this cosmos of man. That one man in that one place holds the keys to that salvation. He is the Keeper of the Keys of the Kingdom of Heaven. “The Pope enjoys, by divine institution," supreme, full, immediate, and universal power in the care of souls" "
“Trevelyan (founding fathers of the New Age movement) takes a radical view of the part youth is playing in our current spiritual crisis. He views their disillusion as part of the solution, not the problem. "The Book of Revelation, the last book of the Bible, has been an enigma to Christian theologians since it was written shortly after the Crucifixion. 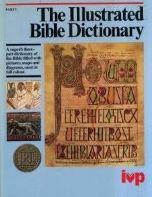 John of Zebedee, Jesus' closest disciple, wrote the book following a divinely inspired vision of an angel sent by God, and the result has long been seen as perhaps the most dramatic prophetic work ever to predict the future of mankind. As we draw close to the end of the millennium - the time many believe will herald the Last Judgment and possibly an apocalyptic end-of-the-world scenario - Peter Lorie brings an entirely fresh and hopeful interpretation of Revelation and the future it declares. 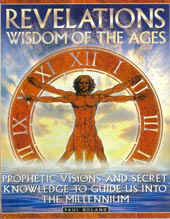 Through a unique analysis of this extraordinary religious book, previously hidden material and symbolism are revealed, such as references to astrology, paganism, eastern philosophy, numerology, magic, shamanism and most of all, prophecy. — REV. 18.4-6: "COME OUT OF HER MY PEOPLE"
— REV. 18.7: "BUT I WILL NEVER BE A WIDOW"
— REV. 19.1-5: ALLELUIA! SALVATION! GLORY! — REV. 21.1-5: "GOD SHALL WIPE AWAY TEARS"
— REV. 21.6: "I AM ALPHA AND OMEGA"
— REV. 21.7: "BLESSED ARE THE BELIEVERS"
— REV. 21.8: "BUT THE FEARFUL AND UNBELIEVING"
— REV. 22.6-12: "AND HE WHICH IS FILTHY"